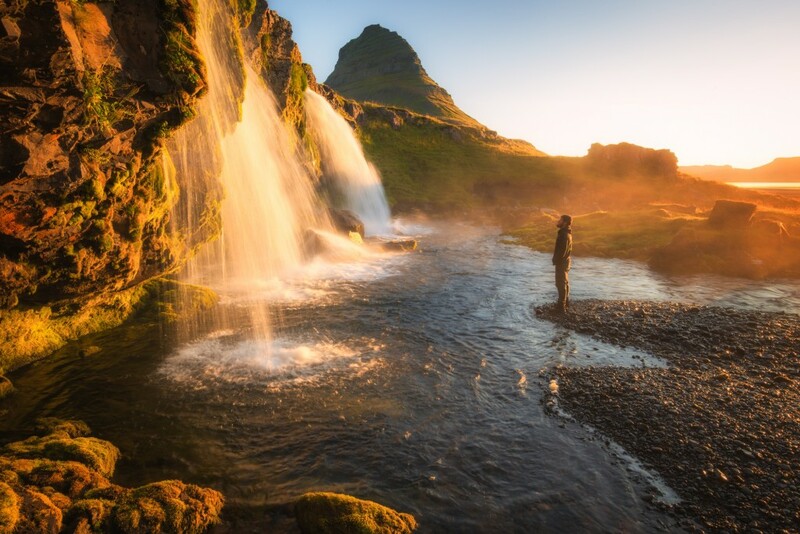 It’s no secret photo trips to Iceland are growing in popularity. 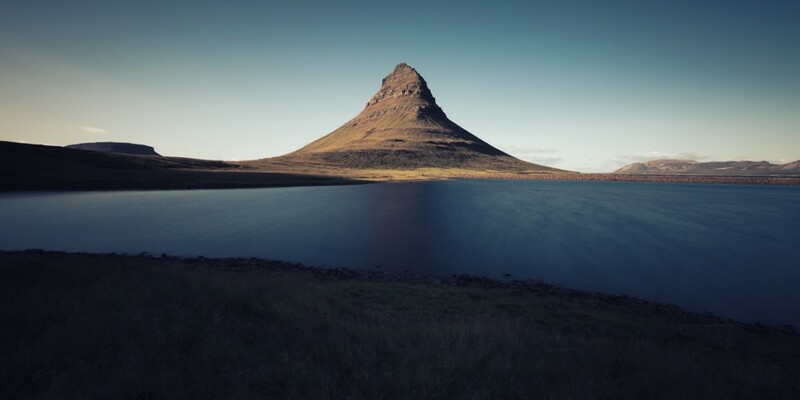 If you spend any time on photo sites or follow photographers on social media the odds of not seeing an image from Iceland’s iconic scenes such as Kirkjufell and Skogafoss on a daily basis are pretty slim. 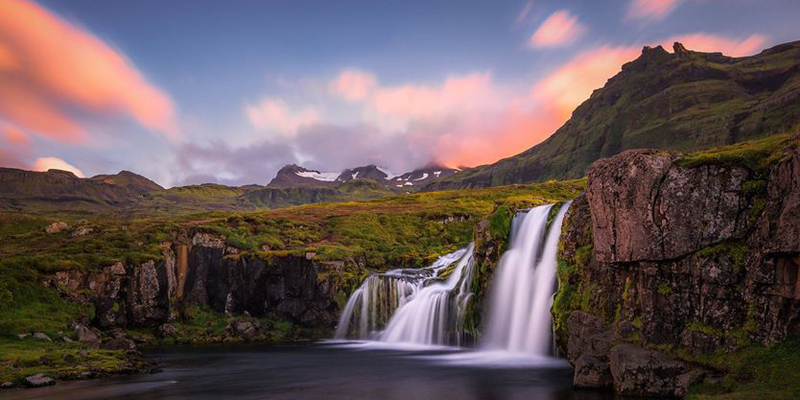 But as with any popular photo destination, Iceland is growing in popularity for a reason: It’s beautiful, it’s desolate, it’s rugged and once you leave Reykjavik you’re in for a landscape photography adventure. I was lucky enough to tag along with some great photographers for 8 days back in August 2014. The following will be a collection of some of my personal favorite images, but first, let’s start with the gear I brought with me. You don’t want to UNDER pack when going somewhere known for a harsh climate and inconsistent weather patterns so even though it was August I packed all the warm clothing and camping equipment I have left from when I lived in Colorado. Of course we absolutely scored with weather–temperatures were mild and we only saw a single afternoon of consistent rain, but at least I was prepared. Also, when going on a photo-specific trip where weight limit regulations aren’t a concern I’ll bring all my photo equipment, and a couple of tripods (well…three tripods for this one). Naturally we wanted to back up our files as much as possible so I brought a few Lacie external hard drives, more memory cards than I could ever fill and my laptop. And you can’t forget rain-covers and plenty of lens-wipes. Even if it doesn’t rain you’re going to get soaked when shooting the waterfalls. TQC-14 LR Package – For some of the steeper trails while carrying two tripods this is always nice to have as it can handle my D800 with 70-200 and fits into carry-on luggage. TVC-33 LR Package – My go-to tripod for the last 5 years. TVC-44 Tripod – Those Icelandic winds are as extreme as the guides will tell you and it’s a good idea to bring a big, robust tripod if you have room. The added height of this tripod was also perfect for letting me shoot over cliff ledges to grab all the foreground I wanted. TA-4-AA3 Adapter – So I could use the lower profile leveling base with the TVC-44. TA-3-FS Foot Spikes – The perfect anchors for windy conditions and soft ground/sand. 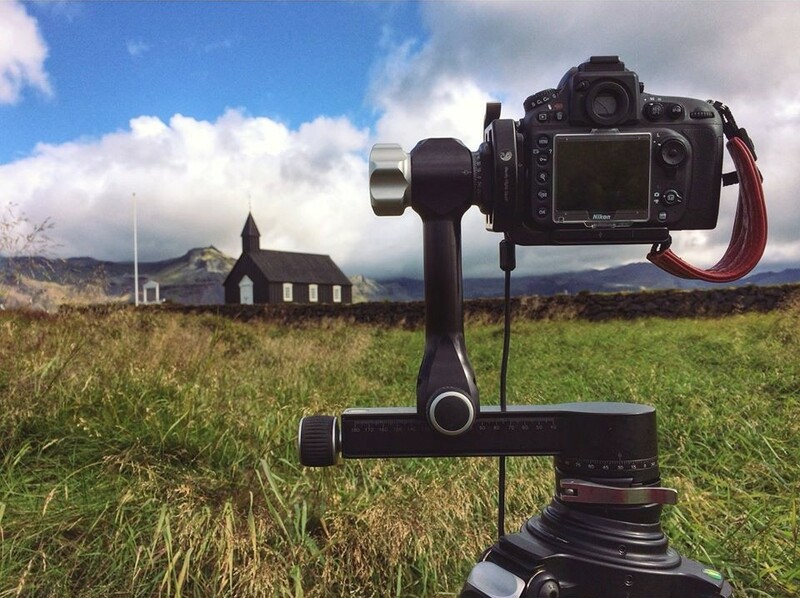 B2-FABN Mini-Clamp – to quick release my straps on and off when switching from hand-holding to tripod mounting. I used the F-Stop Satori EXP photo backpack to lug all the gear out in the field. So how about some images? After we landed in Keflavik we rented our big truck and got on the road. 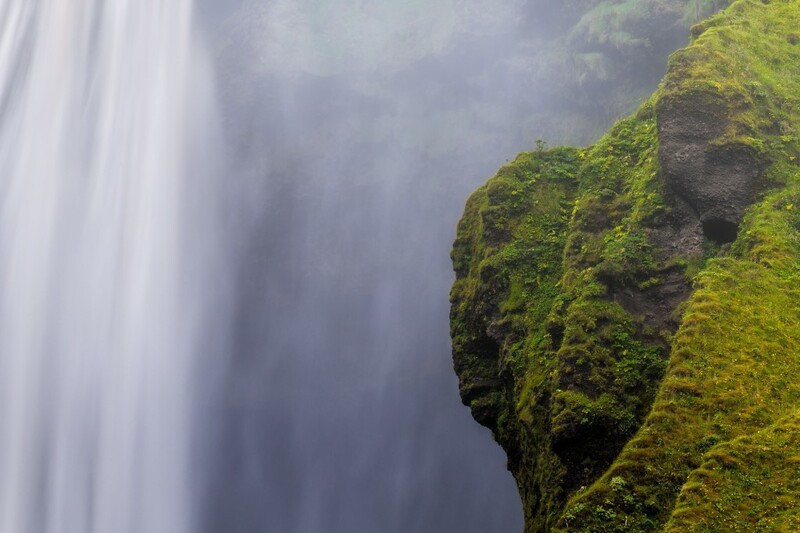 The first stop was Seljalandsfoss, the iconic waterfall where you can shoot from behind the flow. After getting more of the popular angles I saw some clouds forming above the cliff and backed up for a long exposure, as the clouds seemed to be exploding out the top of the cliff. Some of my biggest inspirations over the past few years have been black and white extraordinaires, so it should be no shock I had monochromes and “moody” split-toning in mind before even composing shots. Our next stop was the charming little town of Vik–again, another very popular location, and we naturally got sucked into sticking around for almost two days. Unfortunately our time was limited and we didn’t make it to Eastern Iceland to shoot the icebergs and dramatic waterfalls of the north. Feel rushed or take our time at spots we knew we wanted to visit? The classic conundrum in travel photography. 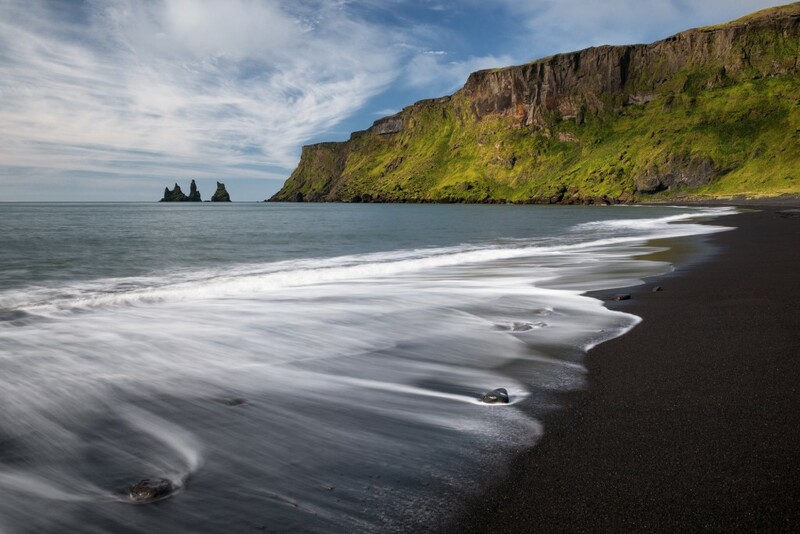 The black sand beach at Vik plays so well with the vibrant green of the steep cliff in the distance, which towers over the famous sea stacks. After a couple hours on the beach we decided to make our way up to the top of that cliff, hopefully to find some puffins. Puffins weren’t as abundant as other times of the year but we did see a handful, however I completely struck out and didn’t catch a single one! No problem, the view was still stellar up there. I mentioned extreme weather. When you rent a vehicle in Iceland you are immediately warned to pay attention to the direction in which you park, as opening a door could result in that door being completely ripped off if the wind hits it right. “Man, they weren’t kidding!” when we were at the cliff-top. So setting up right at the cliff’s edge as I did for the image above had me a little weak in the knees, and I sure was glad I had the beast, the TVC-44 tripod, with me to support my gear. 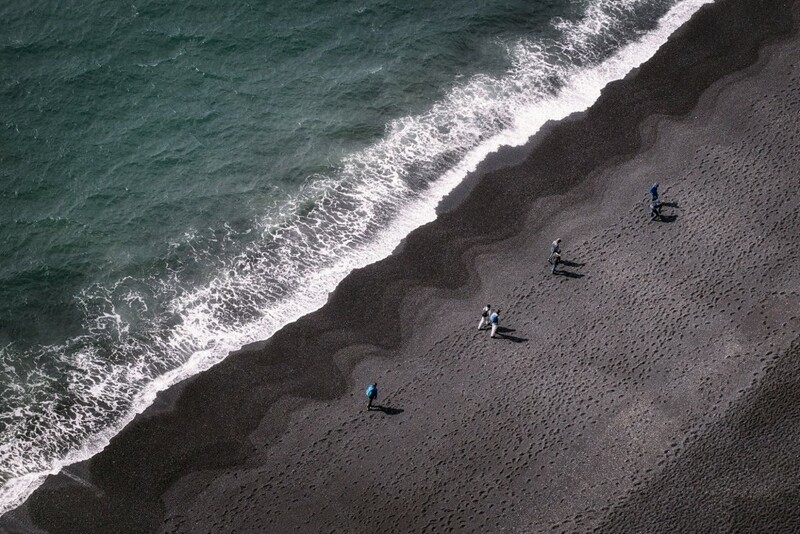 While missing all the puffins I noticed some cool abstracts in the black sand of Reynisfjara and fired away. With any trip it’s easy to get caught up on a “shot list” or images you can’t leave without, but it’s always so much fun to look for little details like this. 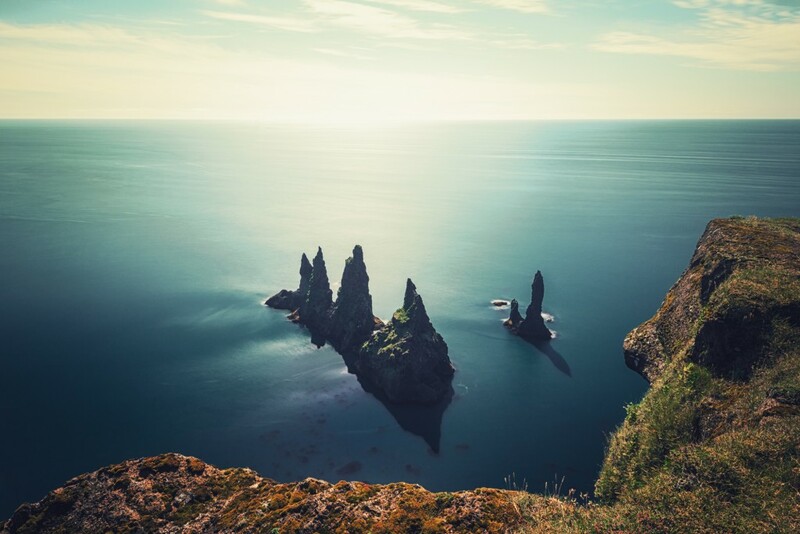 If you visit Vik the seascapes will certainly keep your interest, but turn around. The mountainscapes are every bit as dramatic, and the lone white church sitting above town is not to be overlooked. We missed the Aurora by about a week, and the church at Vik is on my bucket list for a foreground subject with the Aurora. 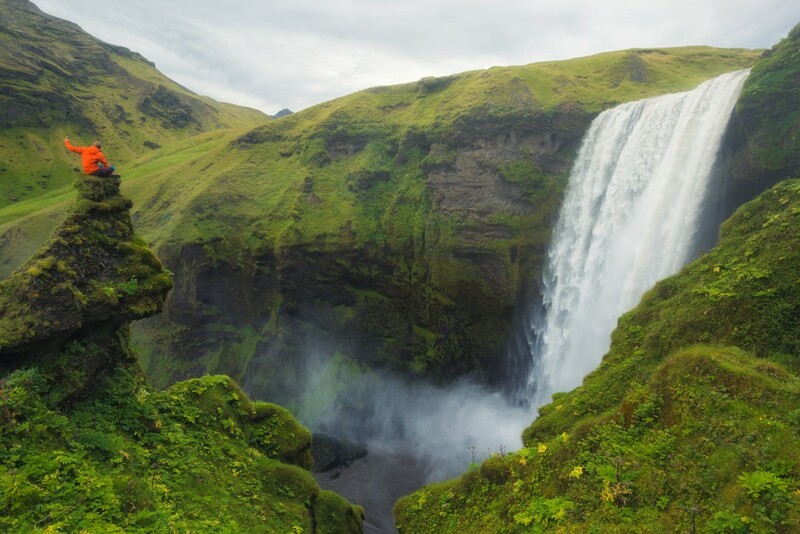 After leaving Vik we decided to book it back west to Skogafoss waterfall. You’ve seen it. I captured the straight-on shots and played with long exposures but also wanted to focus on some of the really neat details in the rock formations. Do you see the troll faces? We made our way up the steps towards the top, knowing a few fantastic compositions were up there. As we were setting up it started to rain and I was hesitant to use that Sony A7 Infrared I was borrowing. As I looked up from my pack I noticed this guy climbing the troll’s head, and thought his orange jacket would look really cool as a contrast against all the bright green. Maybe he’ll stand up? Maybe the perfect spot for a yoga pose? No. He just really needed to grab a “selfie.” No complaints from me! Beyond just the contrast of his jacket I welcomed having a person in frame for scale (something I really enjoy with landscapes) and seeing the cell phone self portrait going down definitely spoke to me on a cultural level. This ended up being one of my favorite shots from the trip. 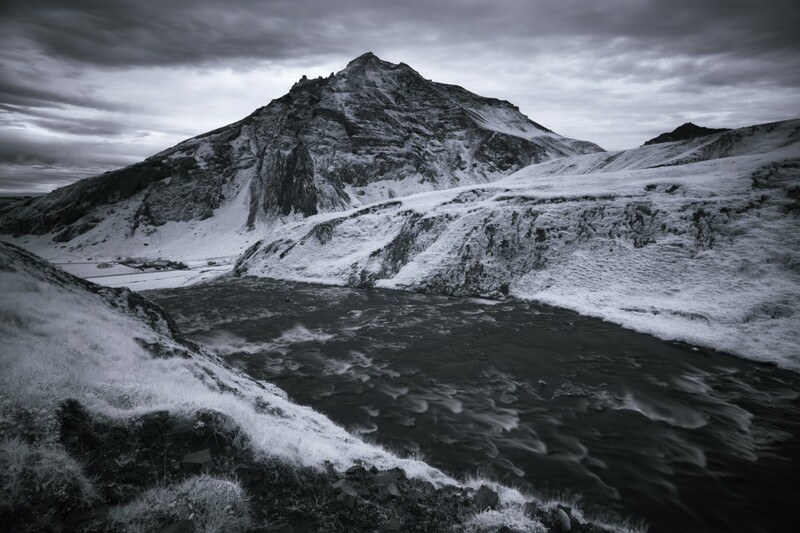 Once we made it above Skogafoss the weather cleared for just a bit and I got to bust out the A7 Infrared–infrared could get very addicting! After a couple nights camping we wanted to clean up a bit in Reykjavik, and since the light was flat and overcast we thought we’d just explore the southern coast on a round-about way to the city. What we found could have kept me entertained for months. Embarrassingly enough I didn’t know about the orange lighthouses that span the country. Just a perfect subject in an otherwise desolate scene. 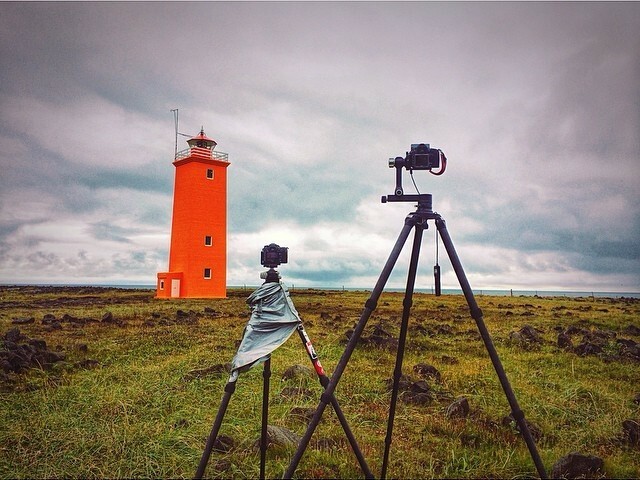 Here’s a quick iPhone shot of my typical setup while shooting in Iceland. After a nice meal and a night in a bed in Reykjavik we made our way north to the Snæfellsnes Peninsula to spend some time in Grundarfjörður, home to what’s becoming one of the most photographed scenes in all of Iceland: Kirkjufell. On our way we had some fabulous light at the small church in Búðir. This was easily one of my favorite locations, such a unique structure in the middle of nowhere, surrounded by prairie grass covered dunes, a small cemetery and the sounds of whipping winds and crashing waves. This is a really great spot for photographing the Aurora, but being a bit early for that I found another way to make the sky dance with the 10 Stop ND filter. Another windy location, here was my setup for the early morning church shots (TVC-44 tripod with PG-02 LR Pano Gimbal Head). 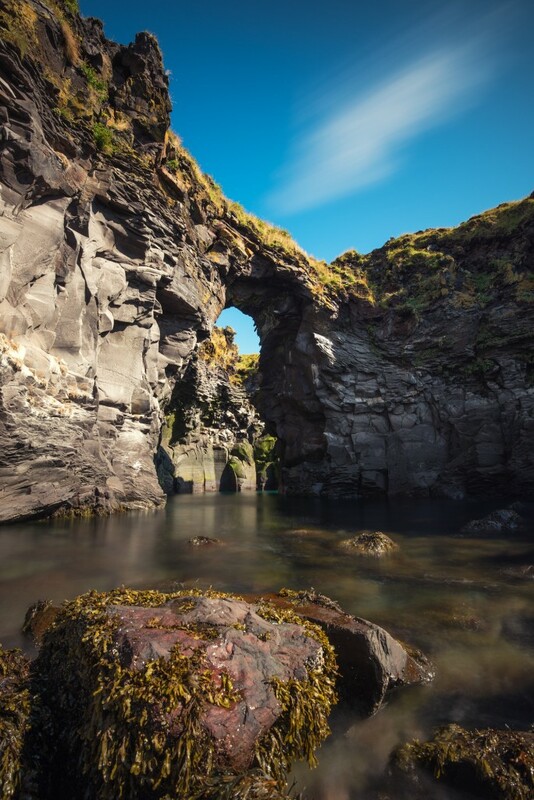 A little further down the road we stopped for lunch in Hellnar, home to this gorgeous arch. Churches everywhere. 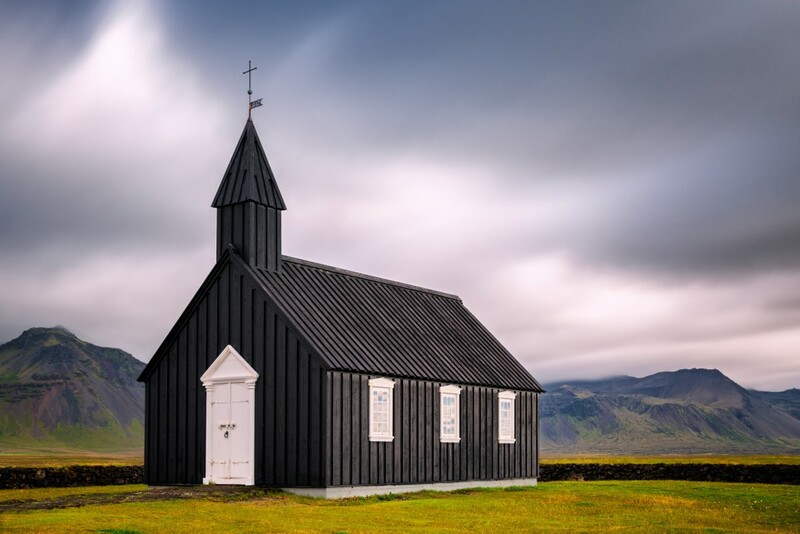 One could truly spend a lifetime photographing these beautiful churches that span the countryside. 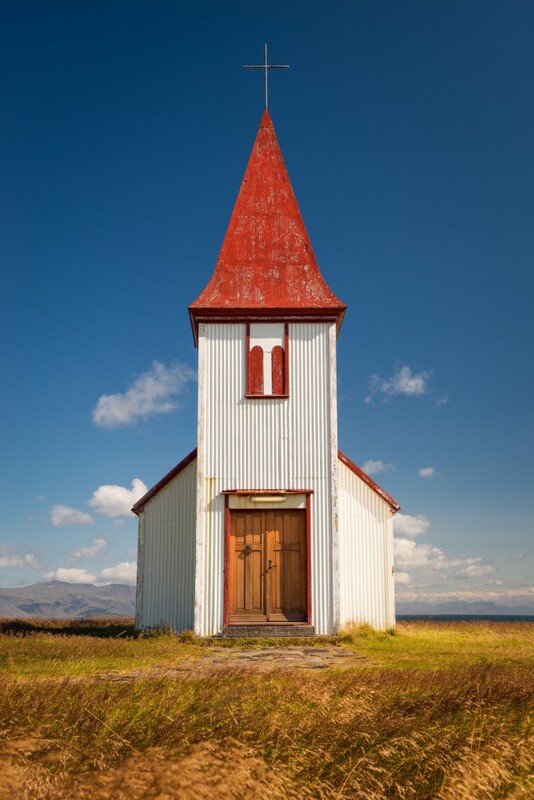 The church at Hellnar was stunning, and the golden prairie grass mixed with the red of the rooftop screamed for a polarizer to deepen the sky’s blue. I don’t know how it happened, but we had Kirkjufellsfoss almost all to ourselves for nearly 24 hours. I really anticipated some tripod log-jam madness but it never happened. That’s what made this stop so special. We could get any angle we wanted without worrying about getting in someone else’s frame. After a spectacular sunrise in Grundarfjörður we traveled further north, landing at a spot I was dying to visit, Hvitserkur. We went down the trail to grab the mandatory long exposures but while waiting for my buddies to finish thought I’d set a timer and run down the cliff line’s trail to stand in for a few frames. Time to head inland a bit. 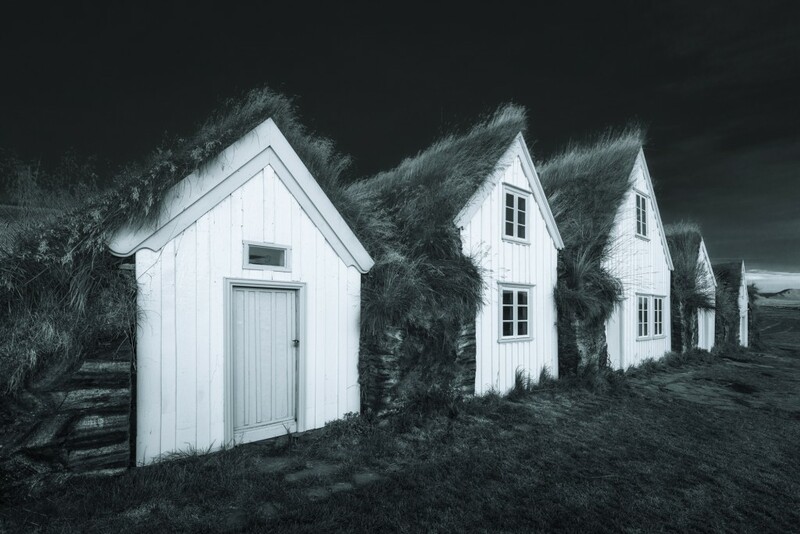 We stayed a night in Varmahlíð and got up for a brisk sunrise to photograph the old huts and churches. I truly never thought we’d focus on more than the dramatic landscapes, but we really got lost in all the old architecture. The huts were no exception. Had we any idea just how spectacular the geothermal areas are we would have spent a lot more time than a morning shooting at Hveravellir. On our way to Landmannalaugar we saw steam and a small hut from off the dirt road. 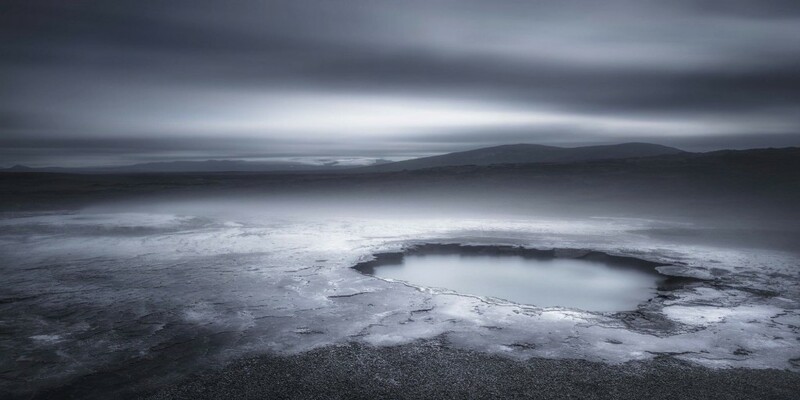 Hveravellir felt like another planet and was definitely a long exposure paradise. Landmannalaugar. It just doesn’t get any better. This location is 100% why I’m so happy we visited when we did, as winter access would be brutal at best, if not completely impossible. Before visiting I just couldn’t believe the colors and contrasts in all the photos I was researching could possibly be real. Boy was I wrong! From maroons to nearly neon yellows to Nickelodeon greens–it was almost too much to take in. I’d had a shot in mind for a long time, something with a hiker traversing the geothermal area, and within a couple minutes of arriving at Landmannalaugar the stars aligned and this lone hiker was framed nicely within a cloud of steam. That was about it for our landscape shooting, but if you ever travel to Iceland make sure you do at least a day in Reykjavik. Explore the galleries, enjoy a brew at any of the numerous pubs and eat at Kol (definitely pricey but one of the best meals I’ve ever had). But don’t put away that camera quite yet. 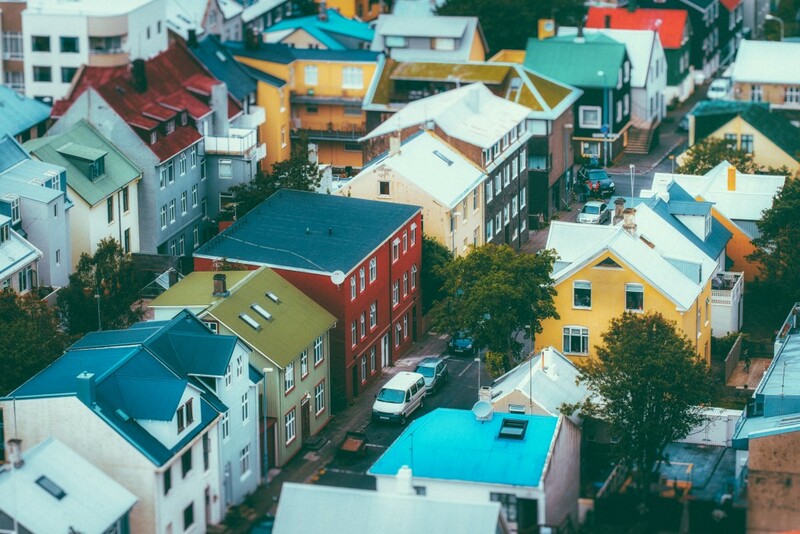 The street photography is world class, and if you go to the top of Hallgrímskirkja church you’ll have a 360 degree bird’s eye view of the city. I spent an hour up top with my 70-200, isolating the colorful buildings. Thank you for taking the time to read about our trip. I hope you find this helpful if you ever plan on visiting Iceland, and just know this quick photo tour barely scratches the surface. 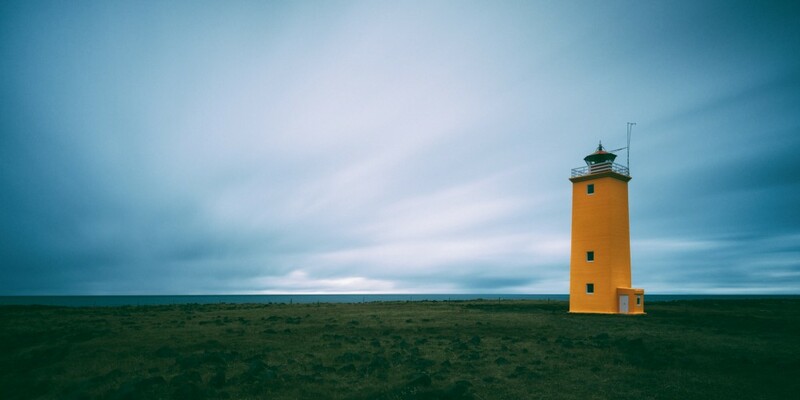 For a much more in depth guide to Iceland be sure to check out Forever Light: The Landscape Photographer’s Guide to Iceland by Sarah Marino and Ron Coscorrosa. Copyright ©2015 Mark Gvazdinskas. All rights reserved. Hi Mark, those are really lovely and inspirational pictures! I just got a TVC-34 and the pano-gimbal setup too. Could you post a picture of how you pack all of this equipment into your backpack? Figuring out how to pack the tripod is probably toughest thing for me to do when I travel with it. The backpack I use is the F-Stop Satori EXP, which allows me to strap multiple tripods to the pack when I’m in the field: https://shop.fstopgear.com/us/products/mountain/backpacks/satori-exp.html#.VPYYKo7lFEM With a pack that size (I’ve never had issues fitting it into carry-on, either) I can carry multiple cameras and lenses, and the pano-gimbal setup. Shoot me a message if you have any more questions (sorry, I don’t have access to all my equipment right now, but it’s always a game of “tetris” fitting everything in for travel). Have a great weekend and thanks again! Wow! Thanks Mark for all that detailed information. The F-stop gear looks great too. Did you end up using the pano head for any multirow panos? I purchased this head along with a nodal rail for my upcoming trip to iceland but I’m having seconds thoughts about taking it since it’s a lot of additional weight and I’ve never done Panos before. Sorry for the delay as I’ve been out of town! I hope this reaches you before your trip. I most certainly used the pano head. You can’t take TOO many images and if you have enough time in these beautiful spots you might as well get some massive panos, focus stack and have enough exposures to work with in post. Have a wonderful trip and please feel free to contact me directly if you ever have any inquiries. Cheers. Some wonderful photos…I’m so pleased to have the opportunity to study them. You have a great sense of perspective, as shows in so many of your photos, and strengthens your compositions immeasurably. VERY much appreciated, Drake!! I can’t thank you enough for the kind words. Thank you, Laurence! No doubt you’d come back with some winners with your talent, Sir. I hope you’ve been well. Your photos are truly breathtaking! 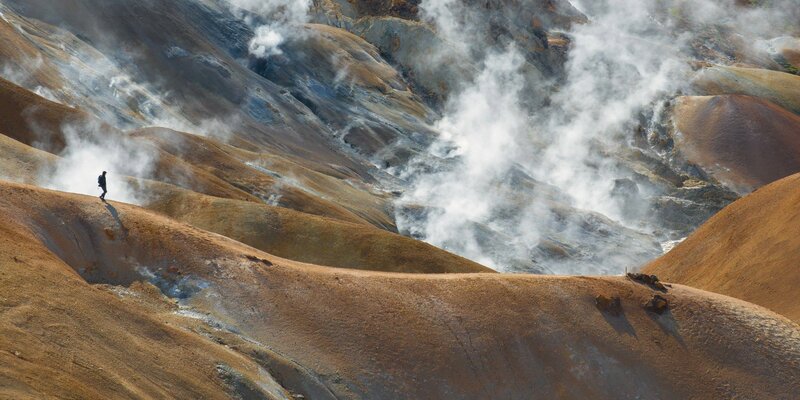 I was just wondering if you could share how you shot the photo of a hiker traversing the geothermal area at Landmannalaugar, type of lens, exposure, pano or not etc. Thank you very much. Thanks so much for this article even if I absolutely hate you! Your luck with the weather in Iceland was just phenomenal! We went for 2 weeks and it poured with rain every single day…we only had one day the entire trip where we got partial sunshine! The rest of the time it was flat, heavy skies with low flying fog. Definitely made shooting photos a challenge at all times and was quite disappointed in how many of them came out. 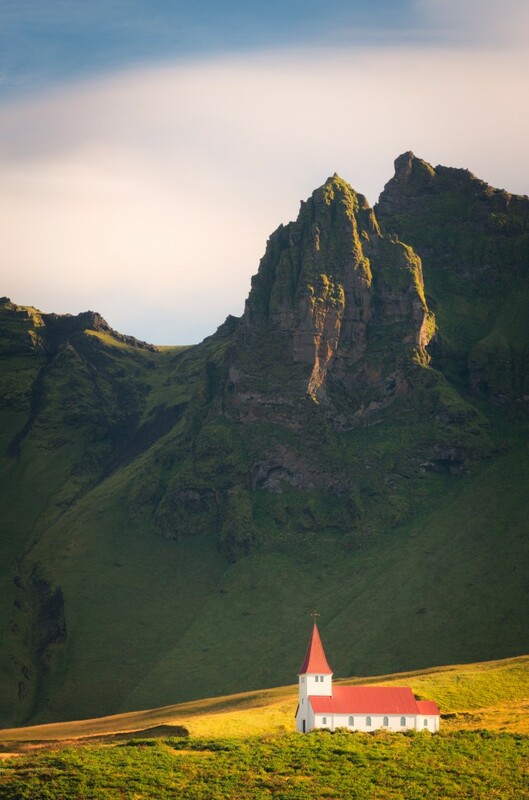 But your pics really do show how stunning Iceland is when it turns on the golden light! Great article. Very interesting and helpful. I’m off to Iceland this week and I’m incredibly excited. I had a question for you – I just bought a new Fuji x-t2 system, and am trying to decide on a nd filter. Things are a little tight after purchasing a brand new system, and I was thinking I can only afford one nd filter right now. Variable ND filters seem to have a lot of problems with the dread ‘x’. While I love the range they could offer, I can’t find any serious photographer who will recommend them. I was trying to decide between a 6 stop, 9, or 10 stop nd filter. 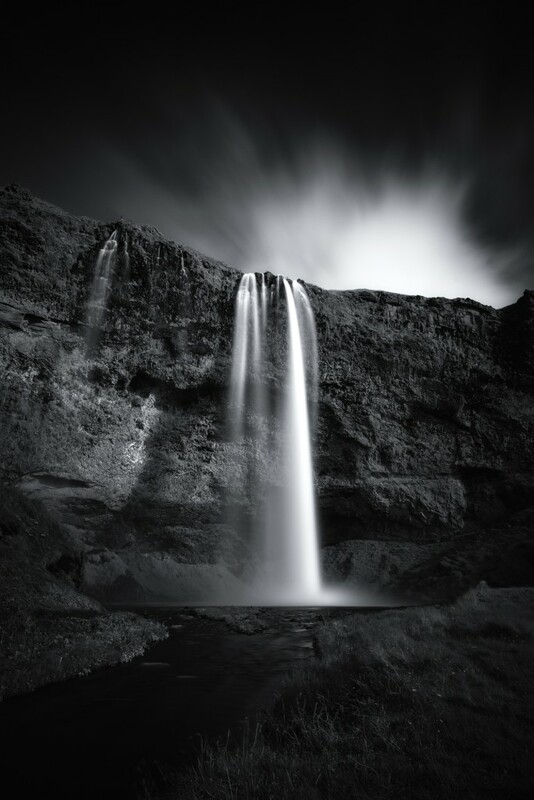 I’m only interested in landscape work with it – waterfalls, seascapes, clouds. Is there one you would particularly recommend for Iceland, given your experience there? I will be there this week (Mid August), if that is relevant. Great photos and tips. Was there in September and did the Circle Tour Route with a cousin and friend. Airlines lost/missplaced my luggage, did not have my tripods and two leneses, had 2 nikon D750 and one each Zeiss 50mm 1.4 and 22 2.8 and a small window pod, used to capture some Northern Lights, a spectaular site. Need to go back after seeing your photos.